Tobacco ( Nicotiana tabacum, SOLANACEAE ). The adults have grey or brown forewings, each bearing a dark oval, a pale oval, and a dark kidney-shaped mark. 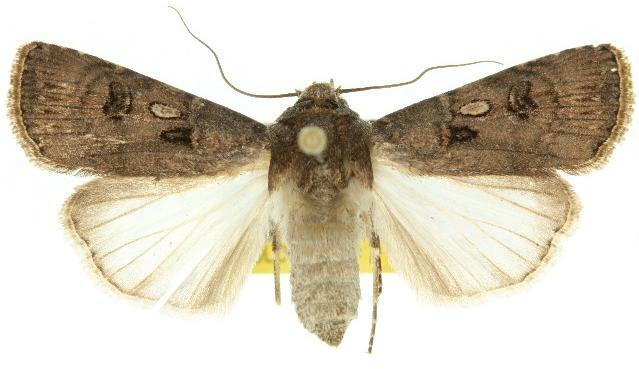 The hindwings are off-white, shading to pale brown along the costa and hind-margin. At rest the moth holds its wings like a tent over its body. 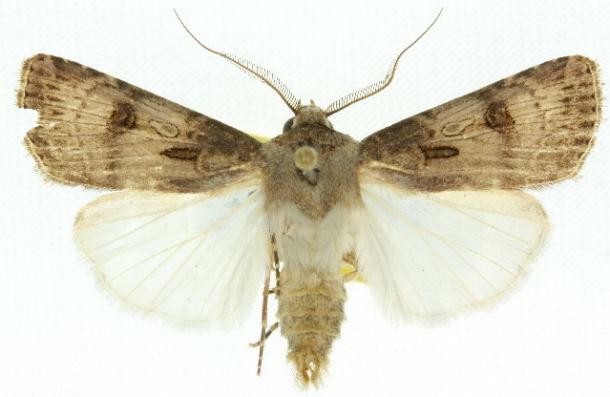 The moth has a wingspan of about 3.5 cms. Volume 9, Part 5 (1852), p. 281, No. 454. Volume 9, Part 11 (1923), p. 189.